Apr 25 - Oct 10, 2008 — Kiesendahl + Calhoun Fine Art, Ltd.
As part of our introduction of the Florentine sculptor/ceramicist Paolo Staccioli, two of the artist's 6.5 feet Warrior Bronzes (which were last exhibited at the archeological museum of Fiesole in 2007), are to be included in the new season at LongHouse Reserve, the extraordinary sculpture garden located at 133 Hands Creek Road in East Hampton,Long Island, NY 11937. 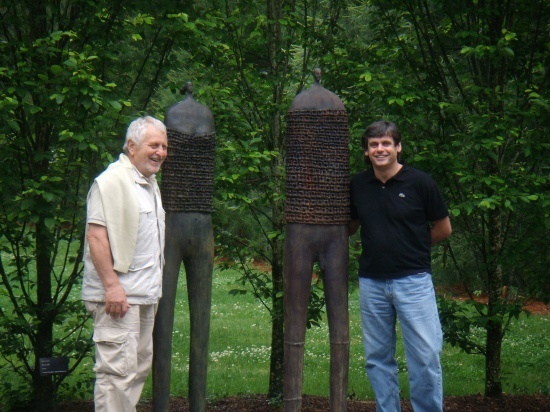 Both bronzes will be on loan for two years. LongHouse Reserve's season runs from April 26th through October 11th. 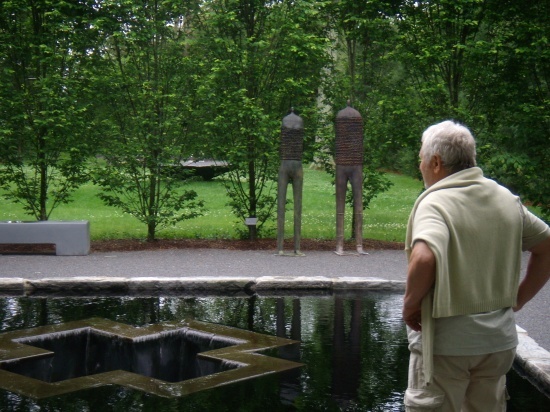 Their mission is to "exemplify living with art in all forms.Through its gallery, arboretum, sculpture gardens, and educational programs, LongHouse brings together art and nature, aesthetics and spirit, with a strong conviction that the arts are central to living wholly and creatively...."